As spring unfolds across Central Virginia, nothing quickens birders’ pulses and gets blood pumping faster than the waves of migratory birds that return to our backyards and neighborhood parks. While we enjoyed our loyal dark-eyed juncos and white-throated sparrows that roamed underneath our winter backyard feeders, their silent disappearance was almost as welcome as their arrival during October, long ago. Many birders look forward to the return of colorful warblers as the first real sign of spring. You’ll often find three species of warblers that tend to arrive first: yellow-throated warblers, Louisiana waterthrushes and common yellow-throats. Following closely behind, the next wave includes yellow, prothonotary and prairie warblers, ovenbirds and American redstarts. All of these early-arriving warbler species nest in Central Virginia, so when the males begin singing to attract a mate and choose a territory to defend, the fireworks get underway. 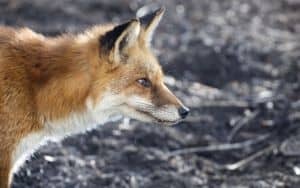 In our neighborhood parks, and especially along the James River Park System, you’ll see frenzied chases to drive away encroaching competitors and repeated defiant soirées into a neighbor’s territory to test persistence and resolve. And, the singing becomes louder and more strident. An early spring song that’s meant to attract a mate, if successful, becomes a defensive and sharp trill intended as a warning against intrusion into an already-claimed nesting territory. In our own backyards, early avian harbingers of spring also announce their arrival. Two obvious standouts are very different in their declarations: gray catbirds and house wrens. What a contrast in styles! Catbirds often arrive undetected, overlooked and secretive until you hear a soft characteristic “m-e-o-w” in a distant bush. A pair of catbirds will quietly go about their day-to-day business of nest-building and chick-rearing with little fuss and a mostly amicable relationship with other species nesting nearby. Male house wrens, on the other hand, arrive in your backyard quite full of themselves: dashing about with swagger and bravado, shouting in a staccato voice. And, when the male wren decides your backyard is really his, nest-building begins in earnest. Each spring in my backyard, a male has gathered small twigs and filled three birdboxes to the brim in anticipation of winning the heart of any female passerby. The backyard antics of nesting house wrens top the list of backyard bombast. But, it’s hard to beat the beauty and gracefulness of my favorite harbinger of spring: the swallow family. 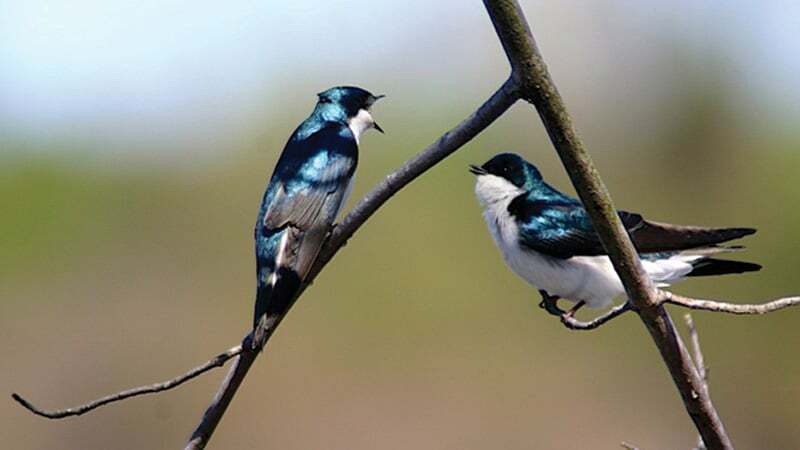 Worldwide, there are 83 species, and in Virginia we have five species of swallows that return each spring from as far south as Bolivia and Paraguay in South America: tree, cliff, barn, bank and northern rough-wing. The family of swallows, including purple martins, is known for its prowess at aerial feeding on flying insects. You’ll often see swallows rapidly flying across meadows or gliding across the surface of ponds as they pick off low-flying insects. During nest-building season, the birds skim pond or river surfaces and dip their beaks to collect water to build mud nests under bridges or similar structures. 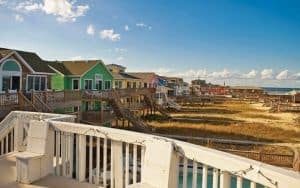 Swallows have had a tough time along the Atlantic coast, especially in New England and the Canadian provinces, with significant population declines most likely due to commercial development and loss of undisturbed feeding sites. In Virginia, our swallows seem to be holding their own. In fact, cliff swallows are thriving. Their nests were first sighted nearly 40 years ago on the Benjamin Harrison Bridge and their numbers have increased dramatically since then. 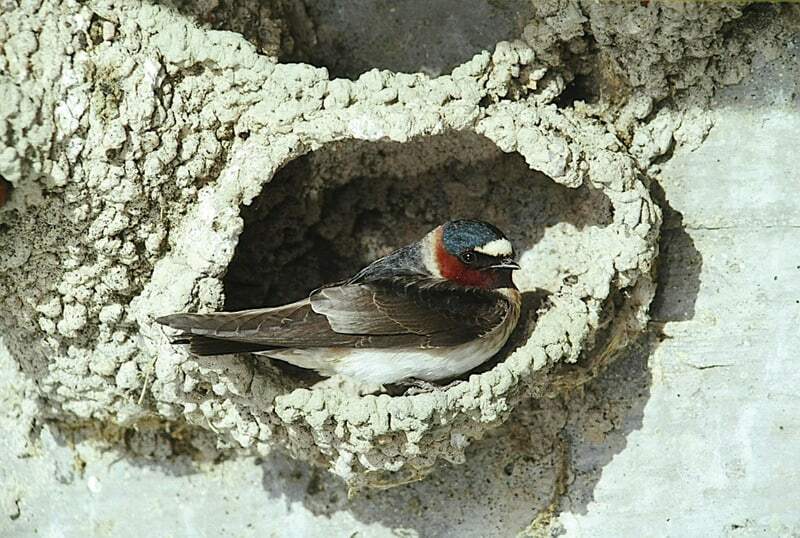 In 1995, staff of William and Mary’s Center for Conservation Biology conducted a benchmark survey of bridges in Central Virginia, often the preferred nesting sites for several swallow species, and found roughly 450 cliff swallow nests. In a follow-up survey of the same bridge sites 20 years later, 3,052 cliff swallow nests were spotted, an increase of seven times in just two decades. Benjamin Harrison Bridge over the James River was the largest site of the species with a count of over 1,000 pairs. Other bridges where colonies grew much larger were located on bridges over the Appomattox River near Hopewell. Large new colonies were found on bridges over the Rappahannock and Mattaponi rivers and the Vietnam Veterans Memorial Bridge of the Pocahontas Parkway. In the Richmond area, watch for cliff swallows around the Lee Bridge, foraging for insects among the backchannels and along the banks of Belle Isle, or upstream near the Pony Pasture portion of the James River Park System. The impressive increase in range and population of cliff swallows means that you have a very good chance of spotting the handsomest of the swallow family. 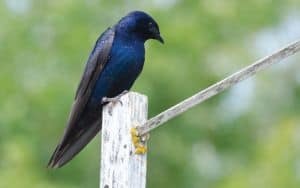 This spring, when you see several swallows flying low over water or a mowed field, look for the one with a deep blue crown, burnt-orange necklace, long and pointed chocolate-brown wings, creamy chest and tawny rump. You’ll no doubt agree that this bird is among the finest harbingers of spring!